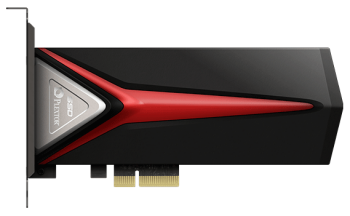 CDRLabs has taken a long overdue look at Plextor's latest PCIe SSD, the M8Pe. Designed with gamers and professionals in mind, this NVMe 1.2 compliant, M.2 form factor drive is powered by Marvell's 88SS9187 "Eldora" controller and is available with up to 1TB of Toshiba's 15nm Toggle MLC NAND flash. The M8Pe also uses a PCIe Gen3 x4 lane interface to deliver up to 2,500 MB/s read and 1,400 MB/s write speeds along with a maximum of 240,000 random write IOPS.